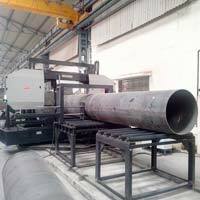 We are one of the leading Manufacturers of high quality Automatic Double Column Bandsaw Machines which assists in making optimum cuts by selecting the right size and type of material that is being loaded into the machine. We present Fully Automatic Double Column Bandsaw Machines which are extensively used in large production environments where only one operator can feed and unload many automatic saws. Our Fully Automatic Cutting Band Saw is characterized by high technology, high efficiency and saving energy. It has a double acting hydraulic cylinder and an infinitely variable feed control valve. Moreover, you can also save your idle time by its automatic height adjustment system. This type of metal band saw machine is ideal for cutting various kinds of ferrous and non-ferrous metals. We are recognized as one of the foremost Double Column Automatic Band Saw Machines Exporter. Double Acting Hydraulic Cylinder for Main Vice and Shuttle Vice. Automatic height adjustment for saw frame to save idle time. Adjustable Heavy-duty movable blade guide with tungsten carbide wear pads & guide rollers. Rubber Bellows for Column Protection. Ergonomically designed Electrical Control Panel. 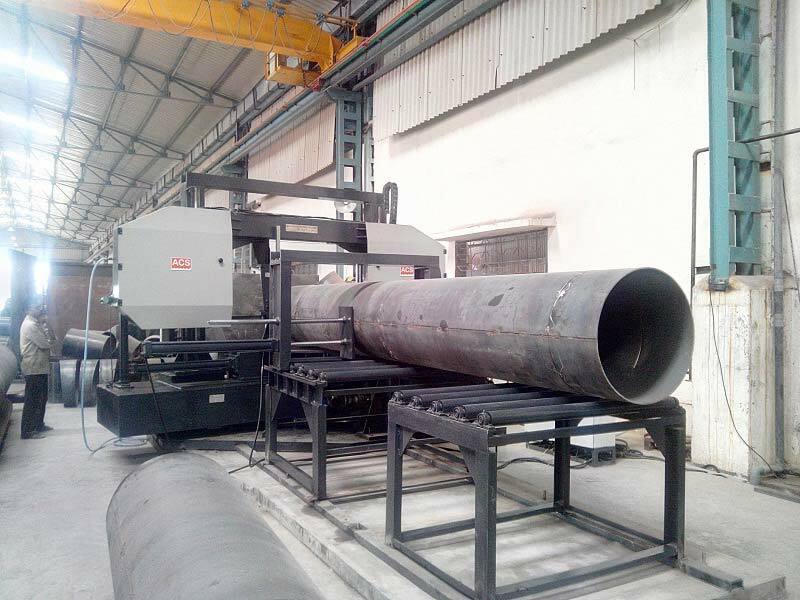 Our range of Automatic Double Column Bandsaw Machine (ACS-DFA) are featured with automatic operations & appreciated in the market for their host of exclusive features. 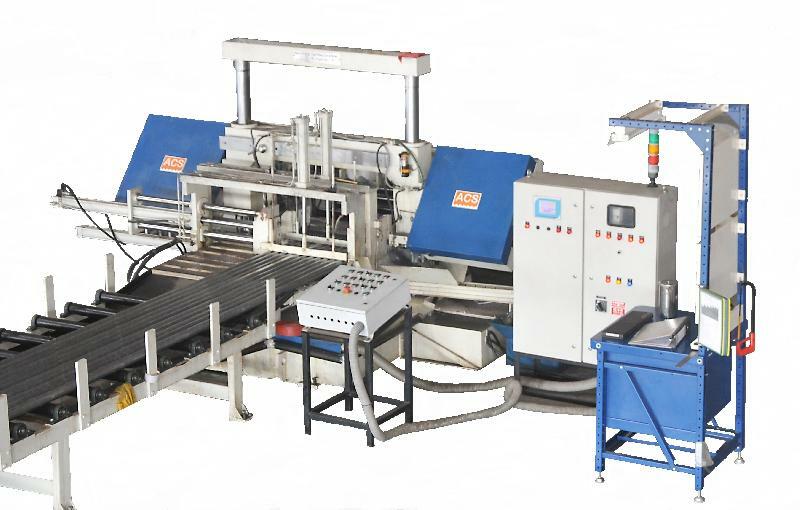 The entire range of horizontal metal band saw is available in different specifications.